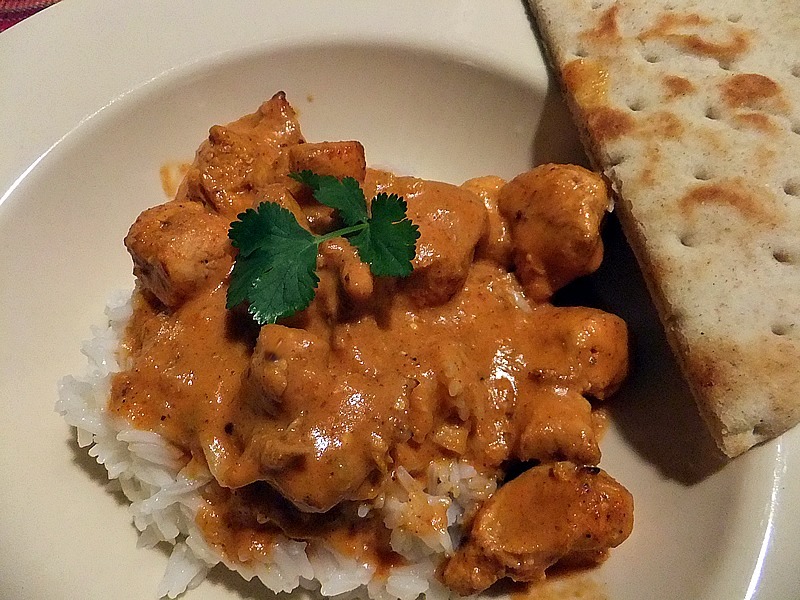 Butter Chicken is more formally known as Chicken Makhani. Perfectly spiced chicken is cooked in a Tandoori oven and then simmered in a delectable buttery, rich tomato sauce. Mr. 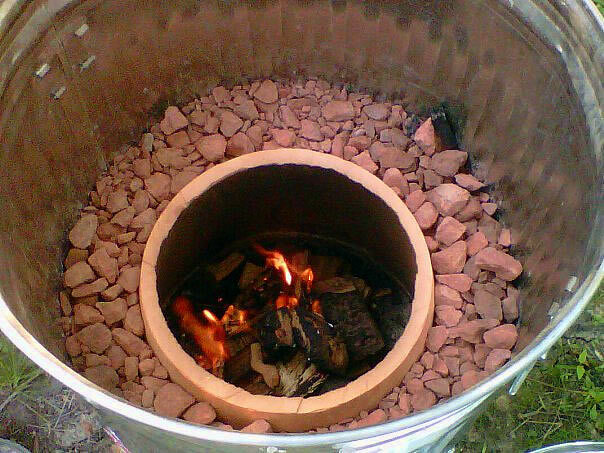 Squash actually made a Tandoor oven last summer out of a clay pot and a trash can. It ‘s amazing how well it replicates the Tandoori chicken you would find in any good Indian restaurant. I’m pining for some chicken makhani tonight but the Tandoor is buried in snow and the nearest (good) Indian restaurant is a half hour away. Luckily there is another method to get (almost) perfect Tandoori style chicken. First gather your ingredients. Place the chicken in a gallon size Ziploc bag and add the chili powder, lemon, and salt. Thoroughly coat the chicken and set aside. Combine the marinade ingredients and add to the bag of chicken. Zip the bag securely and knead it well with your hands until the chicken is coated in marinade. Refrigerate for at least 30 minutes or up to 4 hours. 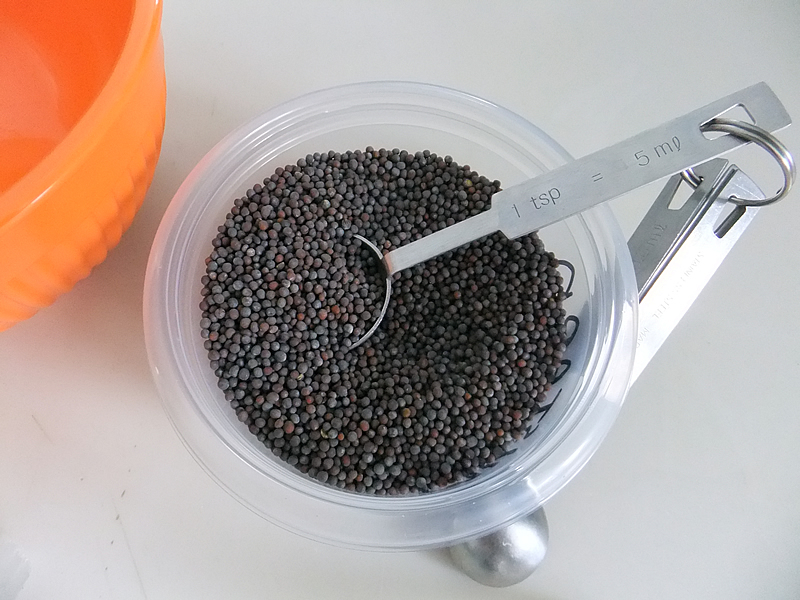 Gorgeous mustard seed. If you don't have a mortar and pestle just put it in a sandwich bag and whack it with a meat tenderizer. That's how I roll, anyway. 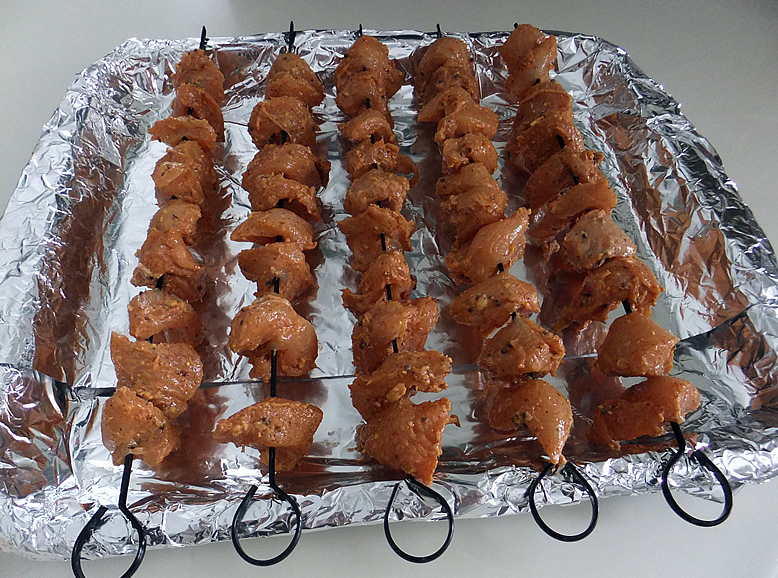 As for how you accomplish Tandoori style in your oven, preheat oven to 550 degrees F or as high as it will go. Skewer the chicken on long metal skewers. Line the bottom of a broiler pan with foil and lay the skewers across the top of it so that no chicken is touching the bottom of the pan. Also, try to make sure the chicken pieces aren’t touching each other. The goal is to allow as much air circulation as possible. Cook chicken in the preheated oven for about 20 minutes or until juices run clear. Watch it carefully as not to overcook. While the chicken is baking prepare the sauce. Heat butter in a large saucepan. Add the garam masala, garlic, and ginger and cook for 2 minutes. Add the tomato puree, green chilis, chili powder, salt and 1 cup of water. Bring to a boil while stirring and then simmer for about 10 minutes. Add the sugar, fenugreek powder, and heavy cream. Stir in the chicken and heat through. This may all seem labor intensive but the end result is worth it, trust me. Serve over basmati rice with a side of naan or pita for dipping in the delicious sauce. This looks amazing! I love Indian food and wish my family would it. I like your tandoor oven! What a great idea. And thank-you for the sweet comment – it made my night! Your blog is beautiful. I’ll be back to visit. I meant I wish they would EAT it! Heehee. Reeni, my family won’t eat a LOT of what I make! I either make it anyway or wait until they’re not home. My kids actually love this. I think they’re partial to the tomato-y creaminess. Either that, or the fact that there are no vegetables involved. 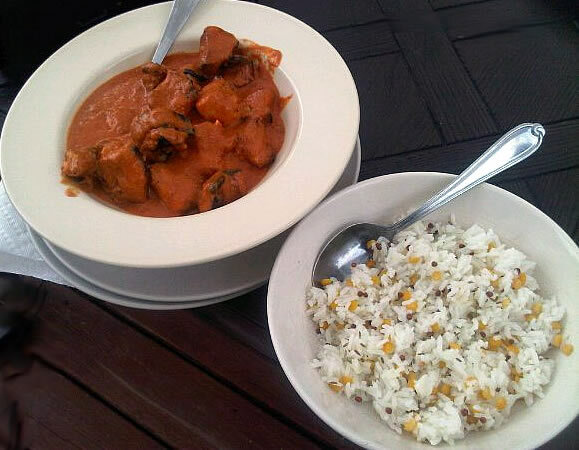 I love butter chicken, though I make it bit different, but I think butter chicken is always awesome dish! I am new to Indian cuisine and can’t wait to try this! Thanks for posting!